There is no need for a salad to be a boring affair. Bring some glamour and a gourmet touch to the most simple or complex of meals. 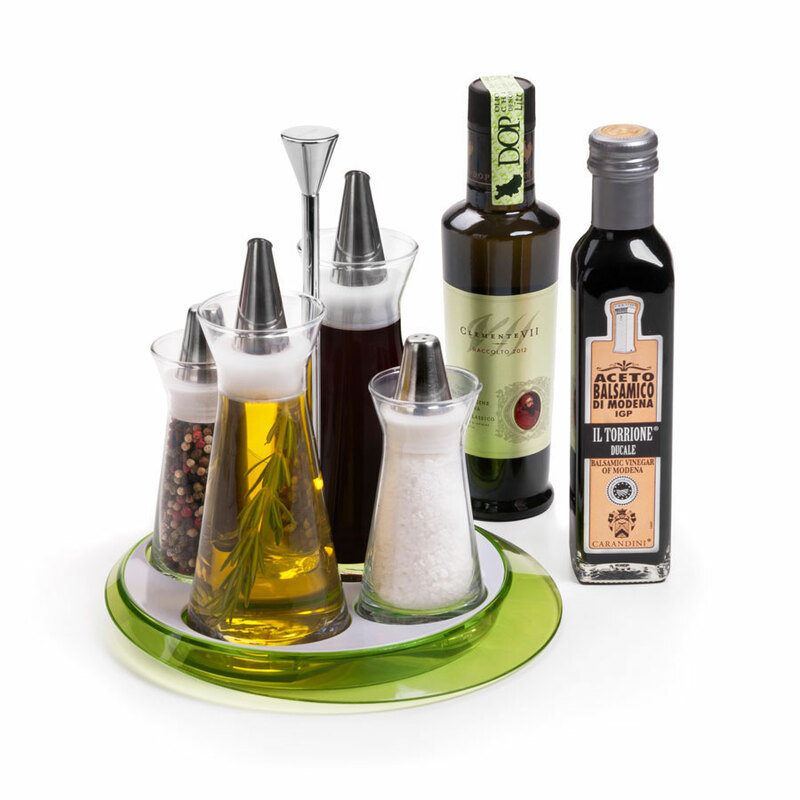 The oil, vinegar, salt & pepper set comes from Bugatti. Designing products since 1923, Bugatti's products merge high technology with the Italian style for shapes and details. Included with this gift is a fine Italian olive oil and balsamic vinegar.